Set in 1893, Cage plays Red Miller, a broken and haunted man, who hunts the unhinged religious sect who slaughtered the love of his life. Mandy was released on Blu-ray 174d ago in the US. Based on 16 Mandy Blu-ray reviews, Mandy gets an average Blu-ray review score of 82. The score for all versions is 82 based on a total of 64 reviews. The movie’s imagery is consistently unearthly; its pacing has a magisterial weight. Call it pulp Tarkovsky, maybe. “Mandy” is not for everyone, but for a willing and engaged audience this is a rare artifact, a warped “hearts of darkness” journey into loss and out the other side. If one thought Beyond the Black Rainbow had a spare throughline, Cosmatos seems to throw everything at the screen here. 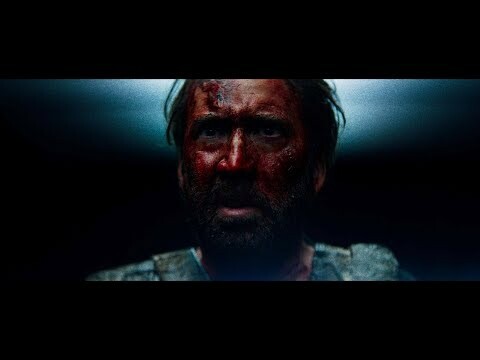 Nicolas Cage goes through drugged-out hell in Panos Cosmatos' second horror film. Crazed religious cult members make Nicolas Cage very, very angry in this gonzo, stylized horror fever-dream. Director Panos Cosmatos’s Mandy is a profoundly violent and weirdly moving poem of male alienation.